Three Barrington students were among the top ten in this year’s graduating class at Haddon Heights High School, and all 53 Barrington graduates from the high school will be moving on to higher education, Barrington schools Superintendent Anthony Arcodia said during Monday night’s school board meeting. Fifty-one of the 53 will attend college — with two dozen going to Camden County College while some others move on to the University of Pennsylvania and Columbia University. Two others will be going to a trade school and a fashion school. Twenty of the students also finished with an average grade of 90 percent or higher, he noted. Note: More items from Monday’s school board meeting will be posted throughout the week. 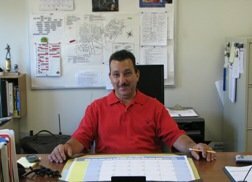 As noted previously on the Bulletin, the author of this blog, Mark Correa, is running for a position on the school board this fall. As always, I invite any of the other candidates to contact me if they would like to discuss any issues on this blog or use it to state their positions. 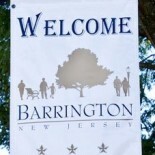 This entry was posted on July 10, 2012 by Barrington Bulletin in Schools and tagged graduation, haddon heights.